Success for Straight Outta Compton is still continuing. Even now, months past its August release, Straight Outta Compton has grossed millions of dollars and as of this week it has made $38.9 million. It’s officially made history as the highest grossing film directed by an African American director which in this case is F. Gary Gray. The movie which has also made $161.1 million domestically broke the previous record of Scary Movie, which grossed $157 million domestically. F. Gary Gray reaching this achievement has further established his career as one of the more successful African American directors to work in Hollywood. He joins a list that includes Spike Lee, Ava Duvernay, Antoine Fuqoa, Melvin Van Peebles, The Hughes Brothers, Gordon Parks and past Oscar Nominees John Singleton and Lee Daniels. Thanks to Straight Outta Compton’s incredible run in the box office, F. Gary Gray landed himself the prestigious gig of directing the next “Fast And Furious” film which is scheduled to be released April 14, 2017. 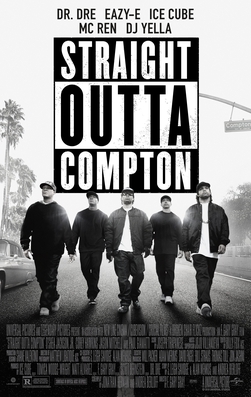 For Now Straight Outta Compton continues to have a successful run in the remaining few theaters it is in as we are awaiting its DVD/ Blu Ray release.